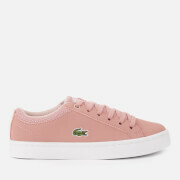 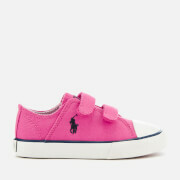 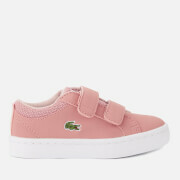 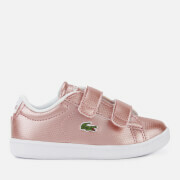 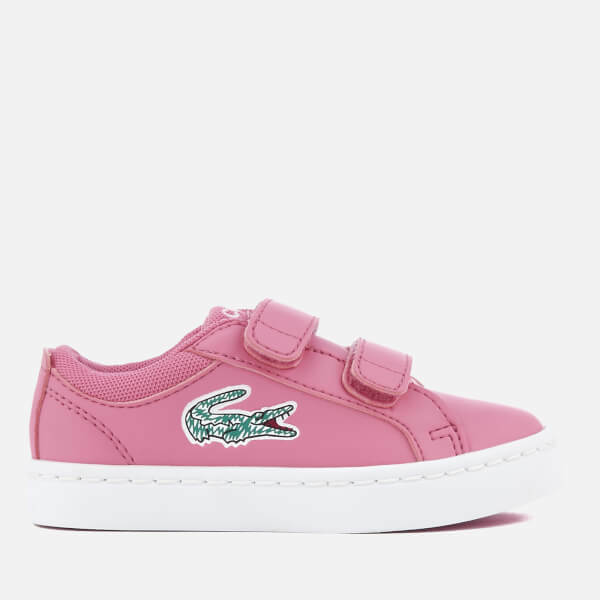 Toddlers’ ‘Straightset’ low top trainers from Lacoste. 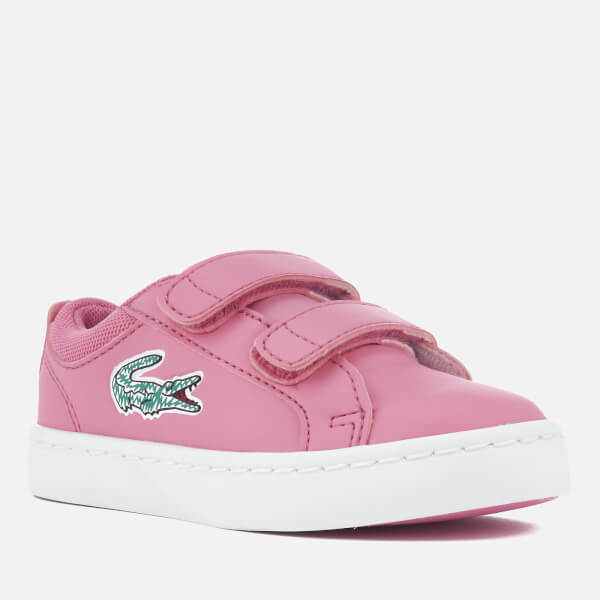 Crafted with leather look uppers, the tennis-inspired sneakers are detailed with a doodle-style, debossed crocodile logo on the outer sides, breathable mesh around the ankle, and dual hook and loop straps to easily get them on and off. 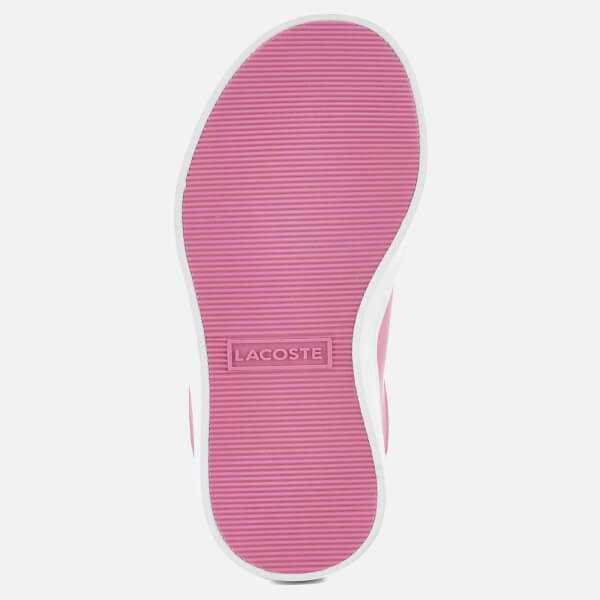 Set on a white rubber sole, the trainers feature a textured outsole for added grip. 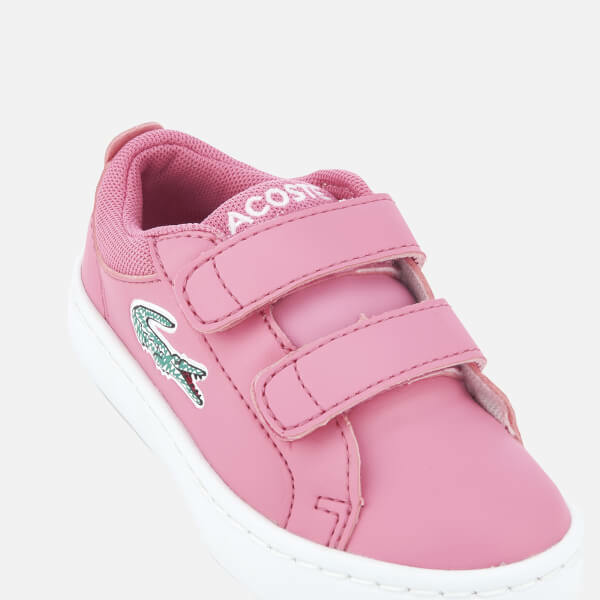 Complete with padded OrthoLite insoles for comfort, signature brand embroidery to the tongue and tonal stitching throughout.